How to Change the Number of Items Per Recommendation Box? A guide on setting the number of items to display in the boxes. 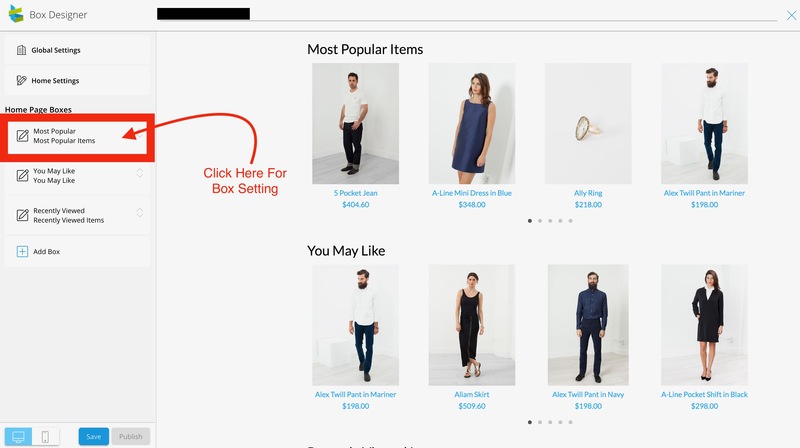 Users are able to change the number of item they want their LimeSpot Personalizer recommendation boxes to show. In order to do that, you would have to visit your LimeSpot Admin Panel > Personalizer > Setup > and click on Customize. This would bring you to your Box Designer where users are able to preview our recommendation boxes in their stores. 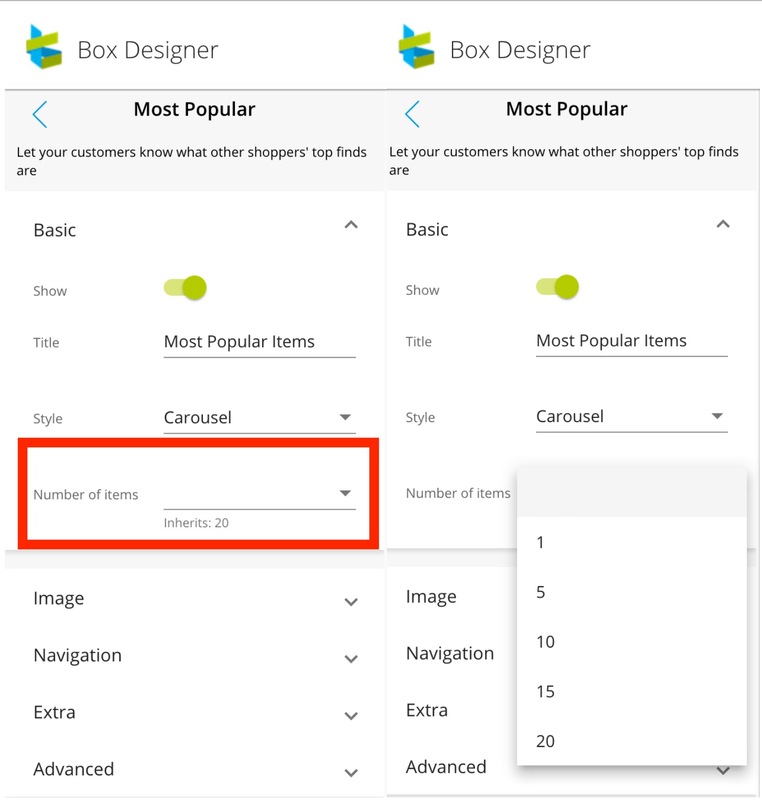 In Box Designer, find the box you want to change the number of items to show. Click on the box setting on the left panel. 3. Expand the "Basic" tab, and you will see the "Number of items" fields. In there you are able to choose how many items you want to show up in the recommendation box. Please note that the drop-down option of this field only will be fixed at an increment of 5 with a maximum of 20 items. (Starting at 1, then 5, 10, 15, 20). Please contact us at [email protected] if you have further questions or concerns regarding this feature.